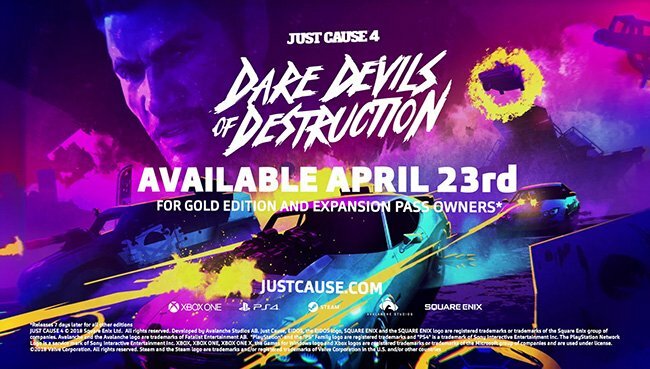 Square Enix has announced that Dare Devils of Destruction DLC is coming on April 30th, 2019 to Just Cause 4. 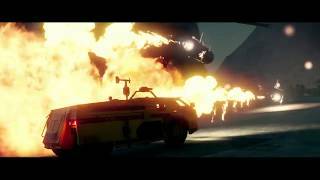 Fans can complete 15 new missions to unlock over 16 all-new weaponized vehicles. Experience new levels of destruction, attack missions in never before seen ways, employ new tactics against the forces of the Black Hand and cause mayhem. This is the first of three explosive over-the-top DLC packs in the Dare Devils, Demons and Danger Expansion Pass. 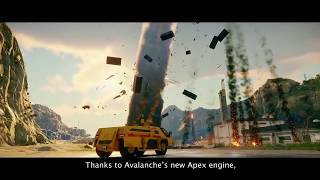 Each pack promises more vehicles, new modes, weapons and activities. Gold Edition purchasers will receive 7 days early access to the Just Cause 4 Dare Devils of Destruction DLC. Just Cause 4 was released late last year on PC, Xbox One, and PS4. 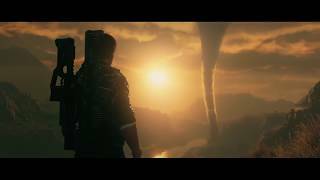 "Going with the flow of chaos, like a parachute around a tornado"
Just Cause 4 is ranked #1030 out of 1435 total reviewed games. It is ranked #89 out of 146 games reviewed in 2018.